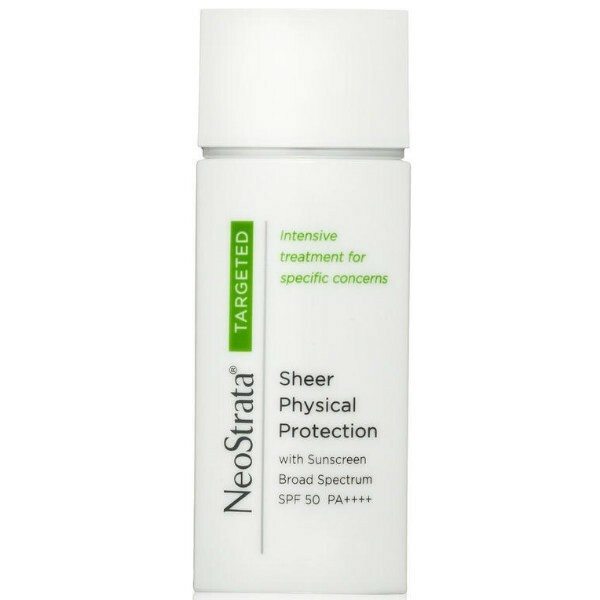 This lightweight, translucent fluid offers physical broad spectrum UVA/UVB sun protection with an ultra sheer mattifying texture that is ideal for all skin types, including sensitive skin. A sheer tint blends with natural skin tone. Formulated with all physical filters, titanium dioxide and zinc oxide, to provide broad spectrum UVA/UVB protection and defend against UV damage, along with an antioxidant PHA/Bionic complex to help preserve skin’s natural collagen and firmness. Potent antioxidants EGCG Green Tea Extract, Lactobionic Acid and Vitamin E work to neutralise free radicals and help preserve healthy DNA, promoting youthful looking skin.